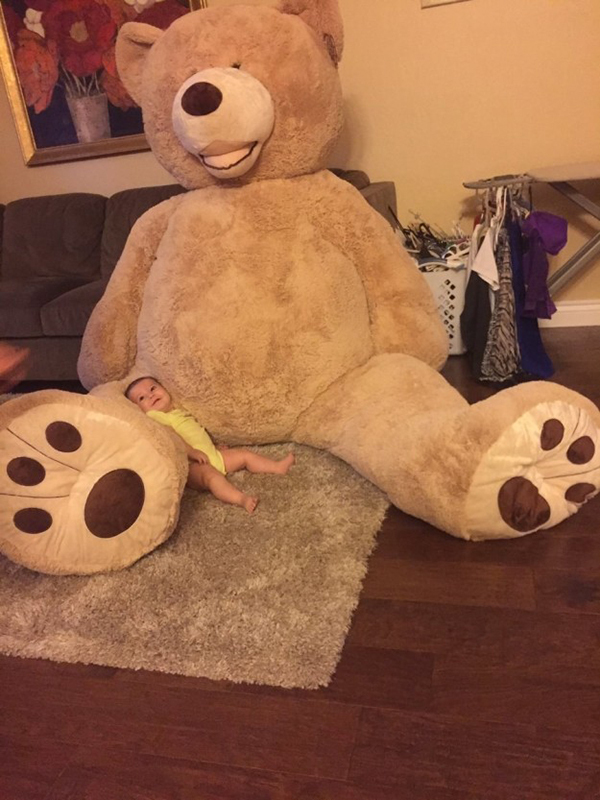 Grandpa buys huge stuffed bear for baby - declutterers everywhere weep! 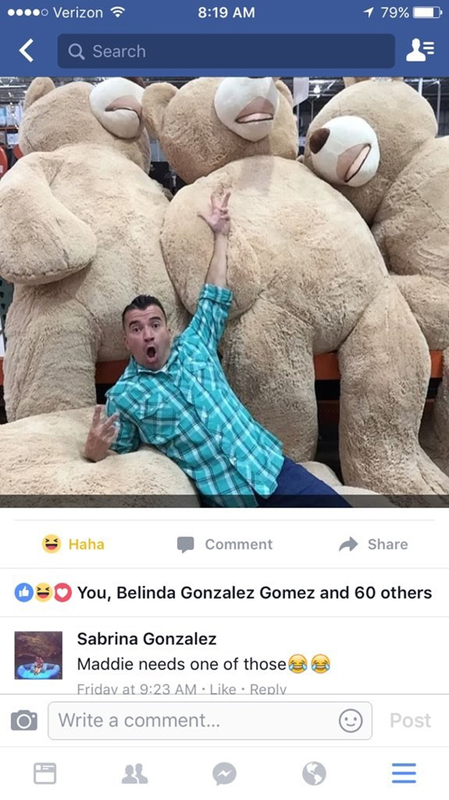 Here’s a cautionary tale for all parents living in small spaces: never joke to grandparents about your kids needing gigantic toys. 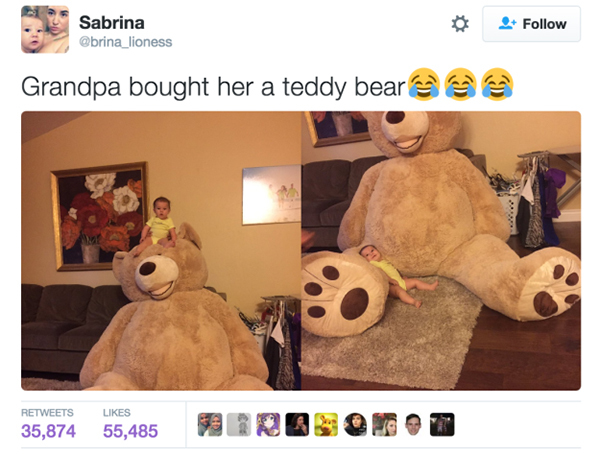 Sabrina Gonzalez made that mistake, and ended up with a 2.4 metre tall stuffed bear in her house, a special gift for little five-month-old Madeline Jane from grandpa. 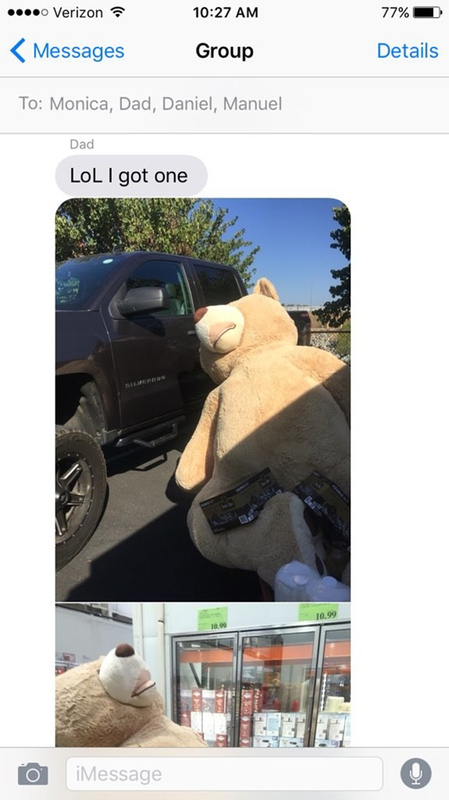 The attached photo had a picture of one of the bears dwarfing his enormous pick-up truck as he got ready to load it into the back to take over to Sabrina’s. Children are notoriously unreasonable. You only need to witness one epic tantrum over toast being cut the wrong shape, or a pillow being “too squishy” to understand the full extent of the insanity. Although Maddie’s smiles are cute, it’s our humble opinion that a nice floor lamp would suit Sabrina’s space better than a giant teddy bear. This might be a case of a grandparent simply not getting it. Or perhaps – it’s all part of an elaborate plot to get revenge on Sabrina for being a nightmare as a teenager? What’s the craziest thing grandparents have ever bought for your kids?